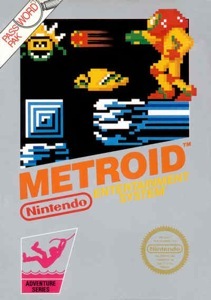 Metroid was the first in the series of Metroid games. In this science fiction, action-adventure game, the protagonist is Samus Aran, a bounty hunter. Samus’s task is to fight the Space Pirates who have stolen the Metroid creatures, and ultimately destroy Mother Brain, the lifeform that operates the Space Pirates’ base.